CytomX Therapeutics provides background on their approach to antibody development and cancer immunotherapy. The Cancer Immunotherapy ETF (Nasdaq: CNCR) is designed to invest both in companies that have immunotherapy drugs on the market today, and also ones that are trying to improve on them by developing second and third generation immunotherapies. The goal of this second group is to help more patients respond to treatments and to move into more types of cancers. One such company is South San Francisco based CytomX Therapeutics (Nasdaq: CTMX). 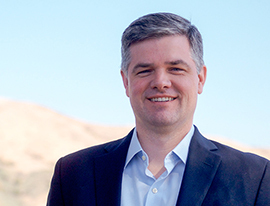 Through a technology they are developing called Probody therapeutics, CytomX is trying to lower the impact some immunotherapies have on parts of the body other than where tumors are located. By trying to make drugs more active in the tumor microenvironment, while also lowering any collateral damage to healthy tissue, CytomX aims to make immunotherapy more targeted and effective. To help visitors learn more about the company, we posed ten questions to CytomX’s CFO, Bob Goeltz (pictured). Mr. Goeltz provided written answers that we hope will help visitors better understand the rationale behind CytomX’s technology, why this might have advantages compared to existing immunotherapies on the market, and what the company’s plans are for the years ahead. What are Probody therapeutics and what potential advantages does this technology have over standard checkpoint inhibitors and other antibodies? Promising classes of antibodies, including checkpoint inhibitors and antibody drug conjugates, have shown meaningful improvements for the treatment of cancer, resulting in dramatic anti-cancer activity in certain patients. Yet, most patients do not respond, have responses of limited duration or face a number of adverse events when the antibody binds to healthy tissue and not just to cancer cells. Emergence of these toxicities limits the use of treatments across a range of cancers and targets, leaving some of most compelling cancer targets unaddressed and many available treatments not used to their full potential. Probody therapeutics are localized to the tumor by leveraging enzymes called proteases that are active in the tumor microenvironment. Designed to remain inactive until they are activated by proteases in the tumor, Probody therapeutics preferentially bind target in tumors and minimize binding in healthy tissue, resulting in reduced toxicity and potentially safer, more effective therapies. Using immunotherapies in combination with other drugs is a big theme in cancer research right now. How do Probody therapeutics fit into that picture? First-generation checkpoint inhibitors combined with other immunomodulatory antibodies have substantially improved the prognosis for patients with advanced melanoma and a number of other cancers. Despite important benefits, one of the challenges with combination therapy is that certain combinations result not only in a more potent effect, but also in greater toxicities. By activating the immune system, these drugs can set off the equivalent of a five-alarm fire throughout the patient’s body, causing a unique spectrum of autoimmune and inflammatory side effects. In a number of cases, development of promising therapies has been stopped due to severe side effects. By containing the drug’s activity in the tumor, we believe Probody therapeutics have the potential to prevent overactivation of immune system outside of the tumor while retaining the potent effect of combination therapy. We believe our wholly-owned lead program, CX-072, a PD-L1-targeting Probody therapeutic, has the potential to become the centerpiece of combination therapy in immuno-oncology. In March, CytomX expanded an existing relationship with Bristol-Myers Squibb. Can you tell us more about that? CytomX and Bristol-Myers Squibb (BMS) have made substantial progress in advancing Probody therapeutics toward the clinic as part of an initial four-target collaboration formed in 2014. The lead target in the collaboration is CTLA-4. CTLA-4 is the target of Yervoy (ipilimumab), a BMS-marketed checkpoint inhibitor. Yervoy has shown promising anti-cancer effects, but can cause serious side effects that can limit its utility. So, it is a logical candidate for the Probody technology. BMS recently nominated a clinical candidate for the CTLA-4 program, which is advancing to IND-enabling studies. All four targets in the original collaboration have been selected, and to date, CytomX has received $77 million in upfront and milestone payments from BMS. 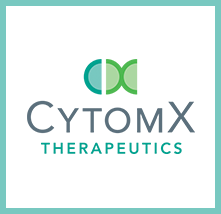 Building on this success, CytomX granted BMS rights to develop and commercialize products directed at up to eight additional targets using the Probody Platform, including six oncology targets and two targets in non-oncology therapeutic areas. BMS will make an upfront payment of $200 million to CytomX, and CytomX is eligible for up to $3.6 billion in additional development and commercialization milestones, or $448 million for each collaboration target. We are also eligible for tiered royalties ranging from the mid-single digits to low-double digits on net sales of each product commercialized by BMS. Between the upfront payment and potential downstream milestones, this represents one of the largest preclinical platform deals in recent history with proceeds enabling CytomX to strategically invest in advancing our wholly-owned pipeline while extending the reach of our technology. Importantly, existing Probody programs that CytomX has in discovery, preclinical research or clinical development are not eligible for selection under the collaboration, and BMS gains no rights to CytomX’s currently wholly owned lead programs, CX-072, CX-2009 and CX-188. This alliance expansion firmly underscores the conviction that BMS has in our technology and the promise of the Probody platform to deliver next-generation therapies that may transform the current treatment landscape in cancer. What are some other noteworthy partnerships CytomX has? In 2016, CytomX entered into a strategic collaboration with AbbVie to co-develop and co-commercialize Probody Drug Conjugates (PDCs). The initial focus of our collaboration is to advance CX-2029, a CD-71-targeting PDC, that is currently advancing through IND-enabling studies. CD71 is the transferrin receptor that is highly expressed on a number of solid and hematologic tumors, as well as many normal tissues, making it an ideal target for the Probody platform. Under the terms of the agreement, CytomX and AbbVie will co-develop CX-2029 with CytomX leading pre-clinical and early clinical development. AbbVie will then lead later development and commercialization with global late-stage development costs shared between the two companies. AbbVie will lead global commercial activities with CytomX eligible to receive a profit share in the U.S. and tiered double-digit royalties on net product sales outside of the U.S. CytomX retains an option to co-promote in the U.S. AbbVie also receives exclusive worldwide rights to develop and commercialize PDCs against up to two additional, undisclosed oncology targets. CytomX received an upfront payment of $30 million and is eligible to receive up to $470 million in development, regulatory and commercial milestones, pending the achievement of pre-determined outcomes. We also have partnerships with ImmunoGen and Pfizer to develop multiple PDCs for the treatment of cancer and the University of Texas MD Anderson Cancer Center to research Probody-enabled chimeric antigen receptor natural killer (ProCAR-NK) cell therapies. What clinical trials do you currently have open? CytomX is currently evaluating CX-072 as monotherapy and in combination with Yervoy (ipilimumab) or Zelboraf (vemurafenib) in a Phase 1/2 clinical trial. Our goal is to demonstrate improved tolerability and anti-cancer activity as monotherapy and in combination, while also exploring translational aspects of Probody mechanistic activity in patients including intra-tumoral Probody activation by tumor-associated proteases. Are any other trials scheduled to start this year? We plan to submit the IND for CX-2009 during the first half of this year and commence the Phase 1 program in the middle of 2017. CX-2009 is a first-in-class PDC targeting the highly expressed tumor antigen, CD-166 and has the potential for broad utility against a number of different solid tumors. What are your company’s main goals over the next couple of years? We expect data to emerge for both CX-072 and CX-2009 throughout 2018. We believe both of these programs have the potential to demonstrate proof-of-concept for our Probody technology. 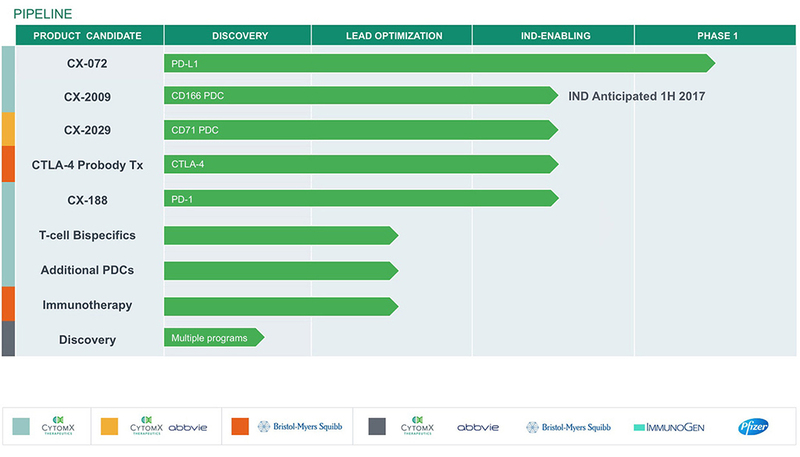 Behind our two lead programs, we have three additional programs in IND-enabling studies, including one wholly-owned program (CX-188, a PD-1 targeting Probody), CX-2029 partnered with AbbVie and the CTLA-4 Probody partnered with BMS. Thus, we expect the next few years to be very data rich with the potential to point the way to future registration studies. We are also investing in many additional research programs to form the next wave of innovation in our pipeline. Our strong cash position gives the necessary runway to strategically invest in our pipeline beyond 2019. Where do you see the future of cancer care headed? While we have made great progress over the last decade, we have a long way to go to achieve durable treatments for the majority of cancer patients. Our work at CytomX supports the industry’s goal of developing next-generation immunotherapies and cell-based therapies to reduce toxicities, improve efficacy and help a greater number of patients benefit from these treatments. And although we are not focused on it per se, we believe that dramatic improvements in early diagnosis will be seen over the next decade causing us to rethink how we bring therapy to patients sooner. CytomX has been listed since October of 2015, but your company has been around for a much longer time. Can you tell us a little more about the company’s history? CytomX LLC was founded in in 2006, based on the technology developed at University of California Santa Barbara – eCPX to discover high affinity masking peptides and CLiPS to discover highly specific protease substrates. In 2007, CytomX was renamed CytomX Therapeutics to focus on the development of first-in-class, site-directed protein therapeutics, eventually named Probody therapeutics, with the goal of creating safer and more effective therapies. Having been angel-funded to this point, in 2010 we secured our first venture financing from Third Rock Ventures and the Roche Venture Fund, which allowed us to generate robust preclinical proof of concept data over the 2011-2013 timeframe and put our first programs into development. We have been advancing our innovative pipeline ever since, while forming strategic partnerships with leading biopharmaceutical companies and research institutions along the way. What has it been like being a public company and what does support from investors mean to you? Goeltz: During 2015, we raised approximately $160 million in equity financing from a ‘crossover’ round led by Fidelity and our IPO. At the time, CytomX was still more than a year from launching our first human clinical trial, so investors have been very focused on the preclinical evidence that Probody therapeutics might work in humans. We believe that the innovation inherent in our platform and our robust preclinical data has been the driving force behind why we have attracted a number of top-tier biotech investors. As we have transitioned to a clinical-stage company, much of the investor focus has shifted to our clinical strategy and execution. The CytomX team has focused intently on execution since our IPO and, in fact, we have achieved all of the key milestones we laid out when we went public in 2015. We take great pride in this track record and remain intensely focused on continuing to execute. Thanks for participating in our Q&A! The CNCR Immunotherapy ETF is pleased to support innovative companies like CytomX and we wish them the best as they expand their clinical trials this year.